Artisan style and all-day comfort are yours with the Born Reija flats. This women's slip-on skimmer features a supple, full-grain leather upper with an elasticized heel to allow for a flexible yet still secure fit. The leather lining and leather covered footbed create an inviting and moisture wicking interior, while the cushioned footbed makes each step a breeze. Opanka hand-crafted construction ensures a durable bond. The lightweight EVON outsole helps absorb shock while allowing for flexibility and without weighing you down. 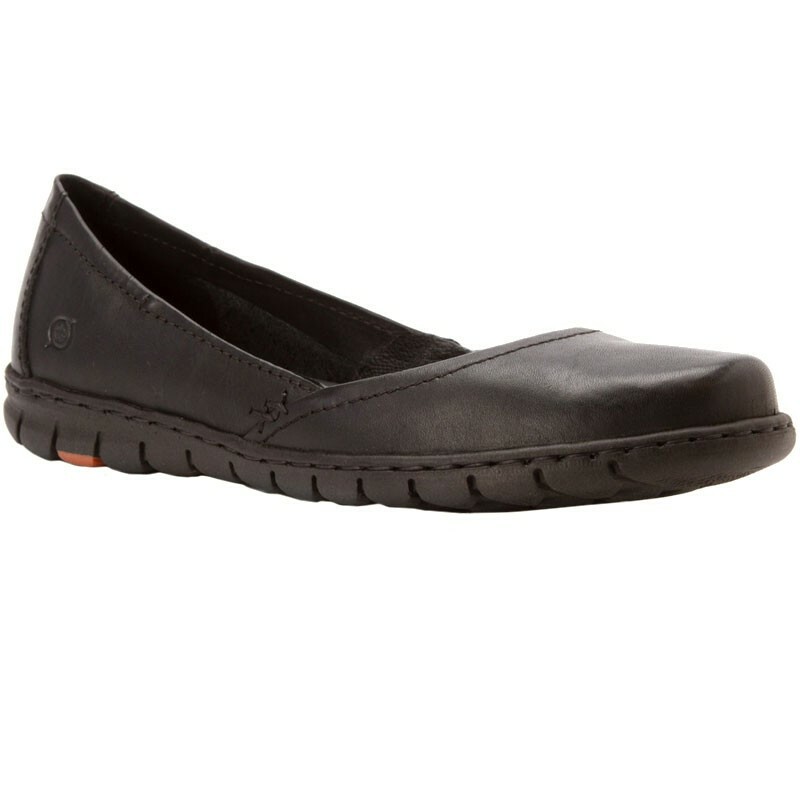 Add some sporty style to your casual wardrobe with the Born Reija flats. *Please note the color in this video may no longer be available.